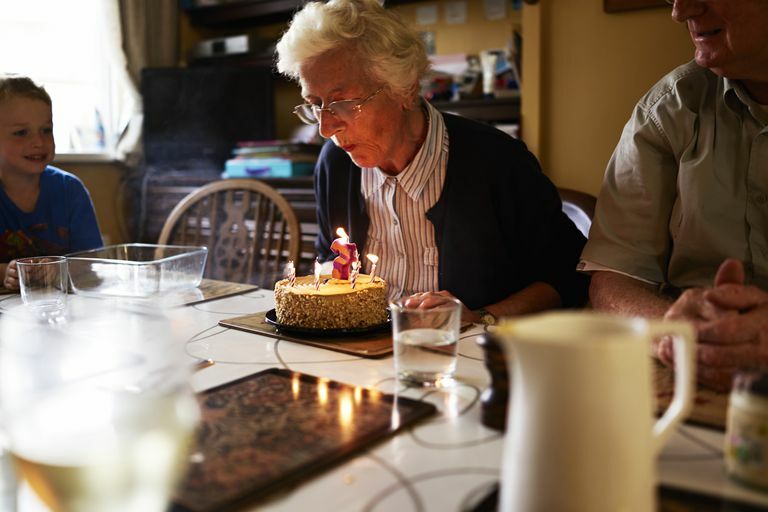 How Important is Age as an Alzheimer's Risk Factor? The greatest known risk factor for Alzheimer's disease is increasing age. Most individuals with the disease are 65 or older, although individuals may develop familial, or early onset Alzheimer's, as early as their 30's and 40's. The likelihood of developing Alzheimer's doubles about every five years after age 65. After age 85, the risk reaches nearly 50 percent. In a 1995 study performed in East Boston, Massachusetts, all non-institutionalized persons age 65 and older in this community of 32,000 individuals were studied: the prevalence of Alzheimer's disease was 10% of those older than 65 years and 47% among those older than 85 years. Eight percent of people older than 65 and 36% of those older than 85 had cognitive impairment severe enough to limit their ability to live independently. It's not clear how well this particular community represents the general population. While the prevalence of a disease is the proportion of a population that is affected by the disease at a specific time, the incidence of a disease is the rate at which new cases occur in a population during a specified period. For Alzheimer's disease, the incidence among people age 85 years and older is about 14 times that among people aged 65 to 69 years. Another study found that beginning at age 65, the risk of Alzheimer's disease increased by 23 percent per additional year of age. The number of Americans with Alzheimer's and other types of dementia is generally increasing every year because of the steady growth of the older population. This number is projected to continue to increase in the coming years as the baby boom generation ages. By 2030, the segment of the U.S. population aged 65 years and older is expected to double. Between 2010 and 2050, the oldest old (people 85 years and older) are expected to increase from 29.5 percent of all older people in the United States to 35.5 percent. This means an increase of 17 million oldest-old people — individuals who will be at high risk for developing Alzheimer's. While age is, of course, a risk factor not under our control, lifestyle changes and diet are, and evidence is increasing that they may help decrease our risk of developing Alzheimer's disease. Hebert, Liesi E. et al.,"Age-Specific Incidence of Alzheimer's Disease in a Community Population," JAMA 273:1354-59. May 1995. Lindsay, J. et al.,"Risk Factors for Alzheimer's Disease: A Prospective Analysis from the Canadian Study of Health and Aging," American Journal of Epidemiology 156:445-53. 2002.